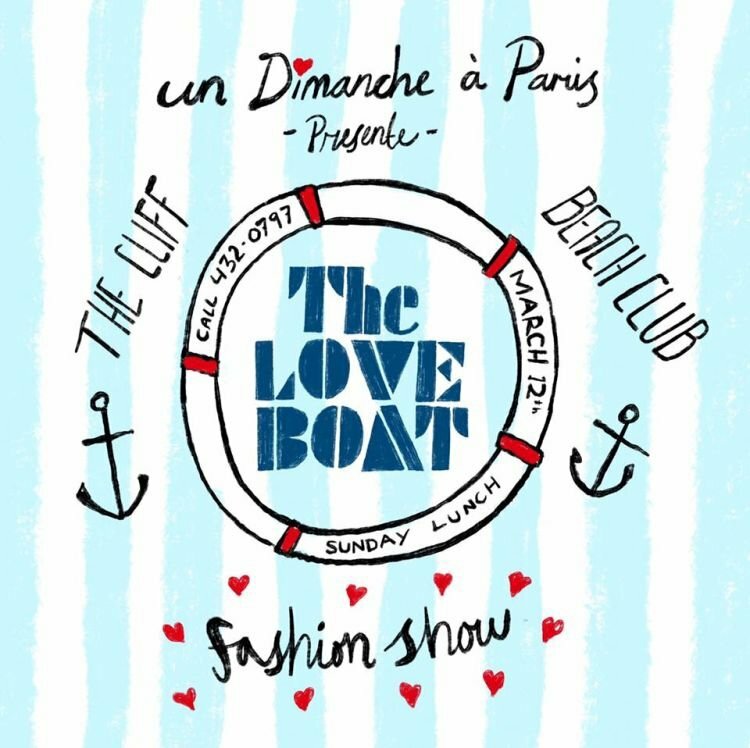 Un Dimanche a Paris Boutique and The Cliff Beach Club presents The Love Boat Fashion Show. A preview of Un Dimanche a Paris' Spring collection. Also enjoy a Sunday Lunch and music. Call (246) 432-0797 to reserve a table or sit by the lounge.